Long before the Santa Maria Valley benchland was recognized as a great winegrowing region, the native Chumash Indians knew it as "tepuztli," meaning copper coin. Later, Spanish settlers translated the word as Tepusquet. 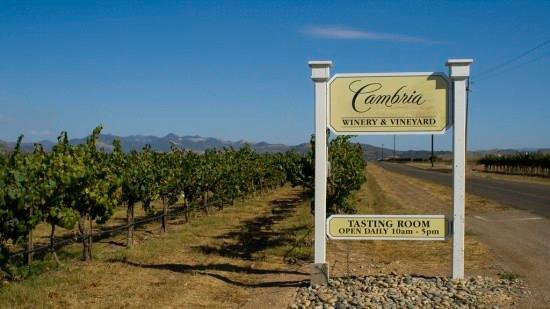 Proprietor Barbara Banke acquired a large portion of the original Tepusquet Vineyard (planted between 1970 and 1971) in 1986 to serve as the site for Cambria winery. Over the last two decades the vineyard has been expanded, replanted and updated with new clones and rootstocks to take advantage of the unique climatic and geological conditions of the Santa Maria Bench. A blend of Estate Pinot Noir Clones, including 115 and 2A, were farmed off of two Julia's Vineyard rows designed for Rose. Aromas of fresh strawberry, watermelon, and citrus. Smooth texture with lively acid and a tart finish.Pair with cast iron barbecue shrimp. ed California Sustainable Winegrower (CCSW) program." Wine Spectator 88"Shows off distinct pepper, nutmeg and blackberry flavors that are full-blown, with hints of espresso and blueberry on the finish. This has firm, integrated tannins. Drink now through 2013." Wine Enthusiast 92"Delivers lots of bang for the buck. Built like a fine French Burgundy, its rich and intricate in smoky-oak infused tropical fruit, fig and Asian spice flavors that have an undercurrent of stony minerals. Really impressive for this price." ~S.H. Wine Enthusiast 91Editor's Choice"They packed a lot of flavor into this rich Chardonnay for the price. Its toasty buttery and popcorny & with ripe fruit notes of pineapples and exotic tropical fruits. A brisk streak of minerals and acidity provides clean balance." ~S.H.